Since most data is available in open standards or extractable by open source software libraries and free software, you can use different open source toolkits or frameworks to extract, transform and load (ETL) data into the search index. 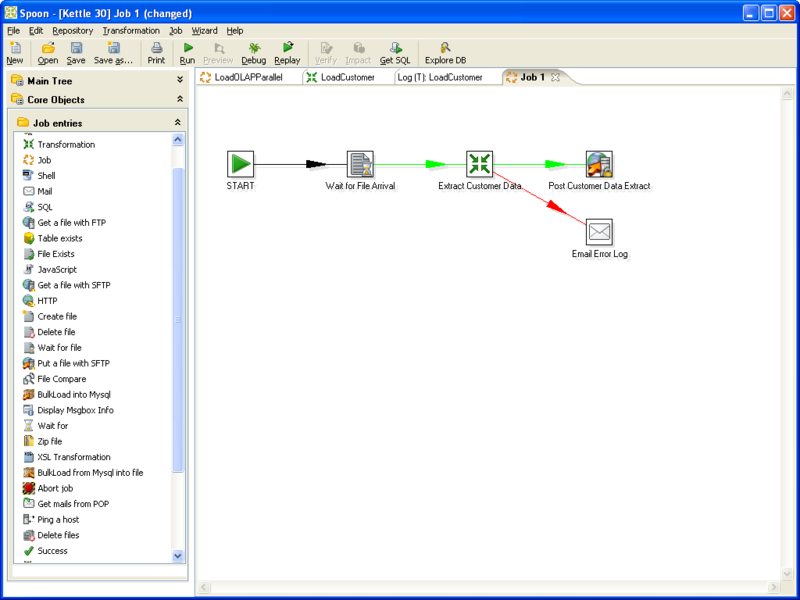 The preconfigured Open Semantic ETL is a Python based lightweight, flexible, extendable, modular and interoperable free software and open source ETL (extract, transform, load), content enrichment and data enrichment framework, toolkit or data enrichment management system for document processing, automated content analysis and media analysis, information extraction, merge and data enrichment pipelines managing multiple, different and modular import, extraction, content analysis, data combining or data enrichment plugins. Since the architecture of the search engine is modular, using open standards for Linked Data and Semantic Web like RDF or SKOS and the basis Elastic Search or Solr providing common standard APIs, you can use or integrate many other alternate Open Source ETL and data analysis tools instead or additionally. Modular data enrichment plugins (enhancer) extract structured data from even from unstructured documents or plain text and enhance or enrich the content with additional meta data or analytics. Such modular data enrichment plugins (enhancer) will extract structured data from unstrucutred documents, enhance or enrich the content with additional meta data or analytics. For example the named entities extractor or OCR for image files. If you use only Open Semantic ETL you can use /etc/etl/config to setup your data analysis and data enrichment chain and to set an db/exporter/writer where to store or index the results (for example Solr, Elastic Search, a triplestore or a database). If you use the preconfigurated full search engine Open Semantic Search the pipeline or the enabled plugins are configurated for all data sources in /etc/opensemanticsearch/etl or can be overwritten or extended for each data source or connector in their specialized configs like connector-files. The analysis chain runs in order, since some plugins depend on data analysis of other plugins. You can overwrite the config by parameters of the command line tools, for example to use a custom config file or to set the plugin for your data analysis and data enrichment chain. The tool etl-enrich can run data enrichment parts or plugins which are not enabled in your default document processing pipe later or from time to time. You can analyze your data with internal webservices (or if you dont need privacy with external webservices or "the cloud") and read the results with the standard RDF enhancer plugin. Or you develop or use a webservice in your favorite programming language and read its results with the standard RDF enhancer plugin. If there is big data and you have to index faster, you can scale by parallel processing, search clusters and optimizing RAM settings. There are powerful open source ETL frameworks (extraction, transformation and load) for data integration, mapping, filtering and transformation for data warehousing with powerful features and graphical user interfaces (GUI). If there is an output plugin for Solr or if the tools can export data in a format which can be imported by one of our connectors (crawler, extraction or input plugin), you can use this open source frameworks like Kettle or Talend Open Studio to integrate, extract, transform, enrich and load (index) data to the search engine. You can use the Apache Stanbol data enrichment framework and one or more of its many enhancer engines. So with its triplestore storage or output plugins for RDF export it can integrate unstructured data like document files and document analysis like OCR to structured Linked Data like RDF graphs and with Semantic Web Tools like a triplestore and many other tools working with open standards for the Semantic Web. So it can not only be used for data analysis, data enrichment and merging but as a converter from more or less unstructured document files to linked data like PDF to RDF, Word to RDF, DOC to RDF, OCR to RDF, JPG to RDF, PNG to RDF or as flexible importer for Semantic Web infrastructure like triplestores, too. Or it can be seen as an Semantic Web-API for legacy files, documents or command line data analysis tools serving their data or analysis results to Semantic Web infrastructure. Linked Data (LD) or Semantic Web (Web 3.0) and Linked Open Data (LOD) based on standard formats like RDF, JSON-LD or Turtle makes data integration, data enrichment and merging data sources easier. Parts of such databases or graphs can be queried and filtered via the query language SPARQL. The data is available in open standard linked data formats and can be imported to your favorite formats and accessable with your favorite tools, software or library. To merge data from different semantic web sources, just load their graphs (database with linked data) into the triplestore (database server) and match or map the properties (in traditional databases this would be columns or data fields). Your triple store or frameworks like for example OpenRDF bring some tools to load linked data in RDF or Turtle format into the triplestore. To merge, connect and map the data fields of different data sources, you can add another graph: an ontology for mapping/connecting different property names or IDs. 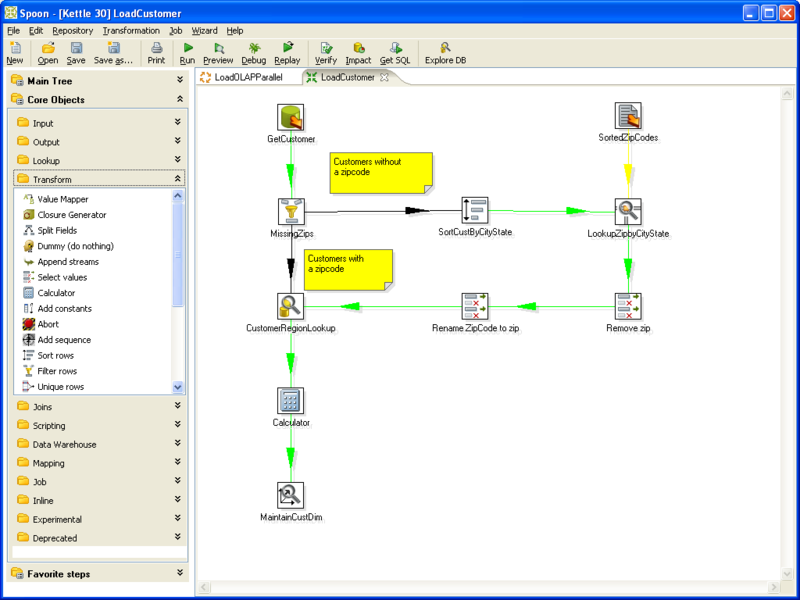 With the property "Same as" you can map or merge different data sources to one graph. Since there is many open data in this open standard formats for linked data, you can enrich your data with many free knowledge bases like WikiData or DBPedia (the structured database of Wikipedia), which is available via a SPARQL Endpoint.